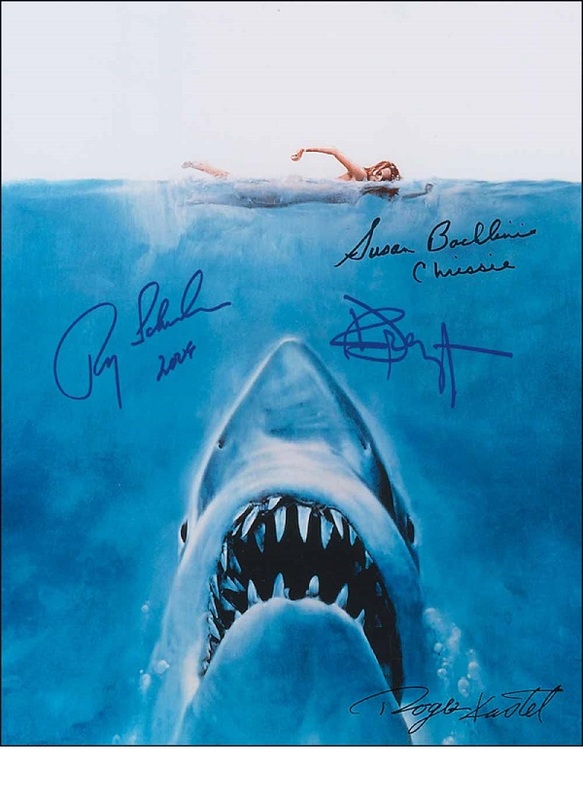 JAWS Cast Signed Photo Roy Scheider, Richard Dreyfuss x4 - LARGE !!! Stunning 14" x 11" JAWS poster artwork photograph. Roger Castell - artist and creator of the original iconic JAWS poster !